Here’s why– most of us know that potato chips are bad and an apple is good for us, so we at least an idea about what to eat. (that doesn’t mean we choose the apple though) We have virtually no information that the WHEN & the HOW we eat determines if we get nutrients from our food. 1- If you eat when you are not hungry, it’s bad. This is because food from your last meal is still digesting, so eating more is just clogging the digestive tube. Many Americans eat a big dinner, T.V. snacks, sleep then get up and eat a big breakfast. Unless you did a midnight run or something like that- you didn’t do anything during the night to earn a hunger. Eat later in the morning, eat a small snack, just drink warm lemon water or herb tea, or don’t eat until lunch to make sure you’re hungry when you eat. 2- If you eat without getting enough water, its bad. Most of us wouldn’t miss a meal for anything or anyone, but we miss drinking the needed water we need all the time. Get your water in at four main times: drink 16 ounces first thing after arising, between 9am- 12 noon, between 3pm-6pm, and about 8 ounces before going to bed. Drink between 60 ounces- 80 ounces- more if you exercise and its hot outside. 3- Don’t drink with your meals. I’ve heard all the reasons why people have something to drink with a meal- I’m thirsty, to help the food go down, to fill my stomach faster so I won’t eat as much…. and many more. Here’s the science to show you that you need to modify something so you don’t drink with your meals: it waters down your digestive juices. Period. Ideally, don’t drink 30 minutes before a meal and wait to drink 30 minutes after a meal. 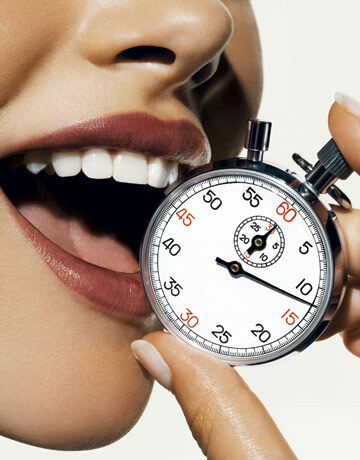 If you eat a big protein meal, wait longer. And now, “HOW should I eat?” Most of you know this already, but still don’t do it. I teach it and want to “walk my talk” so am very aware of it, but still I am not 100% yet. It’s simple but hard to do… here it is… CHEW YOUR FOOD UNTIL ITS LIQUID. We get talking while we eat, or are famished when we do eat or eat on the run so we aren’t fully conscious of the process of digestion going on when we put something into our mouths. Mindfully eating leads to you CHEWING YOUR FOOD UNTIL ITS LIQUID, but you can mindfully enjoy food and still chew it inadequately …. so I feel the need to get specific on this. Until your food is LIQUID, it is not an “identifiable nutrient form” for your body to breakdown and create YOU from it. Big food particles from NOT CHEWING YOUR FOOD UNTIL ITS LIQUID is the basis for allergies, fatigue, thyroid problems and auto-immune issues. You owe it to your body to do this one! WHEN you eat and HOW you eat are very important to getting needed nutrients! They are the basis for your good health!